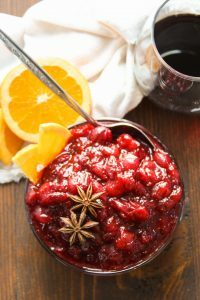 This homemade cranberry sauce is bursting with spices and the intense flavors of red wine and apple cider! Guaranteed to impress your guests and it comes together in about 15 minutes. 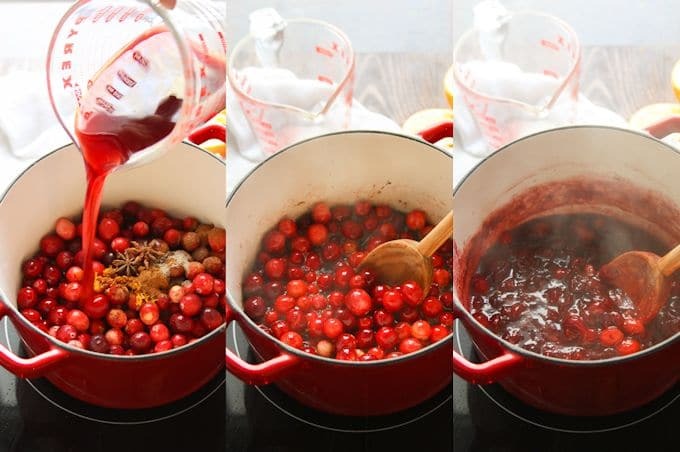 Have you ever made your own cranberry sauce? It’s so easy! Like, ridiculously easy. There was a time when I thought homemade cranberry sauce was fancy and probably a big project to make, but it’s not. Case in point: go out and buy a bag of fresh cranberries, then read the recipe for cranberry sauce on the back. Basically, boil some cranberries, sugar and water for ten minutes. 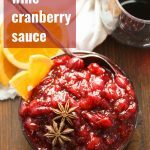 That’s all you have to do to make cranberry sauce! But it’s also kind of boring, which is why I never follow the recipe on the back of the cranberry bag. 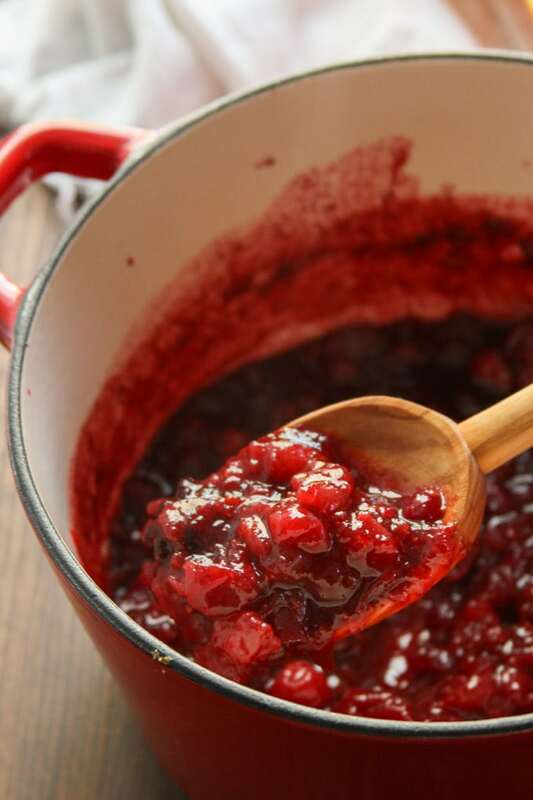 Instead, I use it as a template to create my own cranberry sauce recipes. Replace the water with another liquid, replace the white sugar with another sweetener, and add some seasonings, and suddenly the cranberry sauce isn’t looking so boring anymore. This year I got the idea to use wine as my liquid and add spices you’d find in mulled wine. It was the best cranberry sauce ever. And, with the exception of getting your hands on a few extra (and more fun) ingredients, it’s just as easy as plain old back-of-the bag cranberry sauce. Step 1: Throw everything in a pot. Everything includes your cranberries, spices (cinnamon, cloves, cardamom and star ainse), wine, apple cider (because it also goes deliciously with all those mulled wine spices), and maple syrup. That’s it! Serve it and impress your Thanksgiving guests. 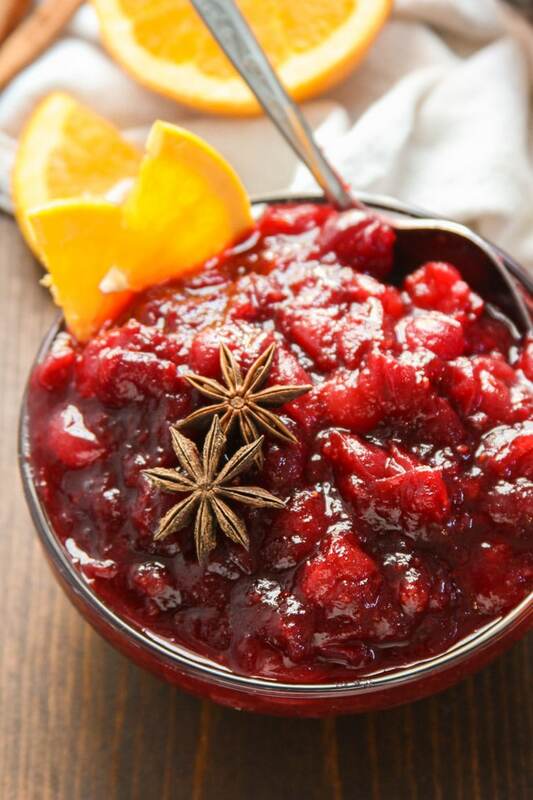 In case you didn’t catch on, cranberry sauce is super easy to make and very forgiving. 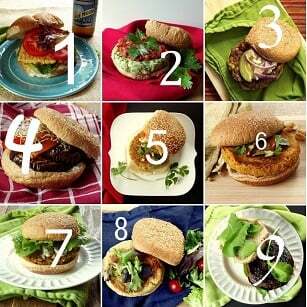 Play around with the recipe and make it your own. Try mixing up the spices, swapping out the cider with fruit juice, using a different type of sweetener, or tweaking the level of sweetness to your liking. This sauce can easily be made ahead of time and refrigerated for 1-2 days, or frozen for longer. Not into cooking with wine? 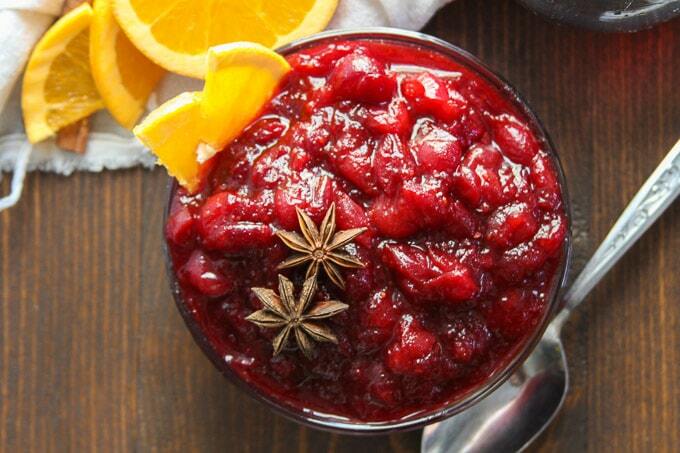 Make spiced apple cider cranberry sauce instead! Just leave the wine out and increase the amount of cider to 3/4 cup. Not all wine is vegan. Check with Barnivore to make sure yours is! Stir all of the ingredients together in a small saucepan and place it over high heat. Bring the liquid to a boil, lower the heat, and allow the mixture to simmer for 10 minutes, stirring occasionally, until most of the berries have burst. Remove the pot from the heat and allow the sauce to cool. Remove the star anise.